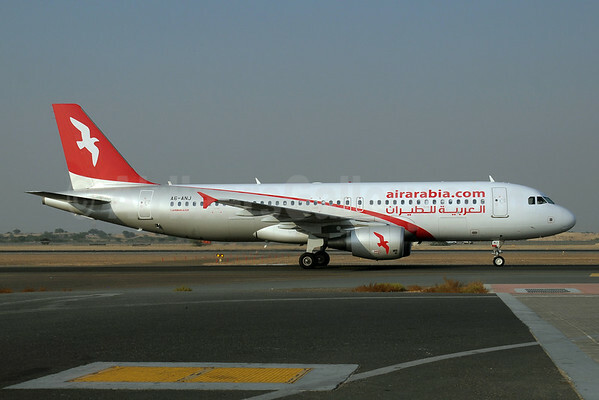 Air Arabia announced today (January 5) that it will open a new international hub at Amman Queen Alia International Airport in Jordan, its fifth fixed-based operation globally, following the acquisition of a 49 percent stake in Petra Airlines. The deal will see the existing principle shareholder of Perta Airlines, the RUM Group, maintain a 51 percent stake. The new partnership will also lead to the creation of Air Arabia Jordan and will reinforce the airline‟s leadership of the low-cost aviation market in the MENA and Levant region. Following the acquisition and the establishment of the new Air Arabia Jordan, operations are expected to commence in the first quarter of 2015. The newly established carrier, managed by Air Arabia, will follow the carrier’s business model serving as Air Arabia’s fifth hub in the Arab world. Air Arabia Jordan will provide direct service to a range of destinations across the Europe, Middle East and North Africa region from Queen Alia International Airport. Air Arabia Jordan will serve as Air Arabia’s fifth hub and will follow the same proven value for money business model. Two Airbus A320 aircraft will initially be based at Amman Queen Alia International Airport and the fleet will grow as the business demands. Launch routes will be announced in the coming weeks. 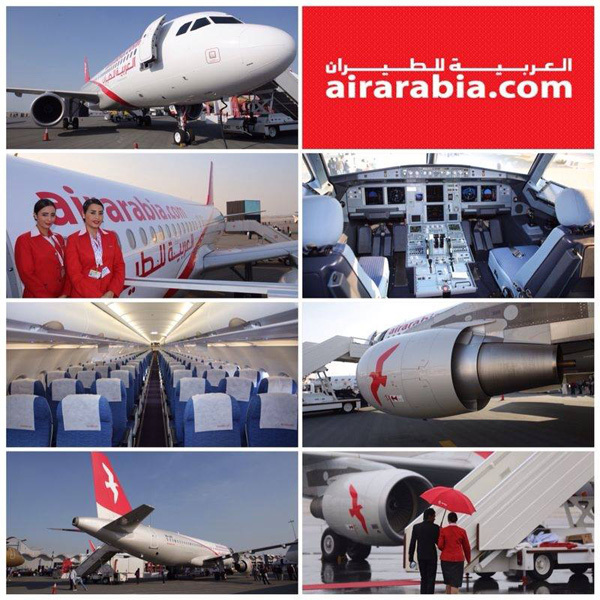 Air Arabia, listed on the Dubai Financial Market, launched service from Sharjah, UAE, in October 2003. Today, the carrier provides service to 100 destinations, spanning Europe, the Middle East, Africa and Asia, from its four existing hubs in the UAE, Egypt and Morocco. Petra Airlines is founded in Jordan in 2005 by RUM Group, Jordan’s leading travel and transport group. 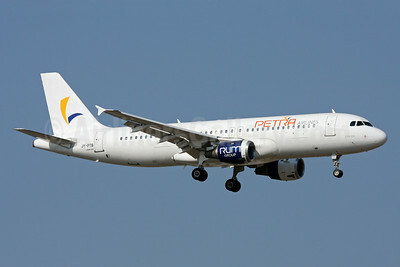 Petra Airlines currently operates two Airbus A320s. Top Copyright Photo: Paul Denton/AirlinersGallery.com. Air Arabia’s Airbus A320-214 A6-ANJ (msn 5143) taxies at the Sharjah hub. Bottom Copyright Photo: Ton Jochems/AirlinersGallery.com. Petra Airlines’ Airbus A320-212 JY-PTB (msn 537) taxies at Antalya, Turkey. This entry was posted in Air Arabia (Jordan), Air Arabia (Sharjah), Petra Airlines and tagged 5143, 537, A320, A320-200, A320-212, A320-214, A6-ANJ, Air Arabia, Air Arabia (Jordan), Air Arabia (UAE), Airbus, Airbus A320, Airbus A320-200, Amman, Amman Jordan, Antalya, AYT, JY-PTB, Petra Airlines, Sharjah, SHJ on January 5, 2015 by Bruce Drum. Petra Airlines of Jordan has obtained its AOC from Jordan CAA to operate as a schedule operator with an aim to be the first Low-Cost Carrier in Jordan. The company operated the last two years a charter flights and has fulfilled all the technical and economic requirements to be a schedule operator. Mr. Riad Khashman (CEO) has announced Petra Airlines has completed the first phase of operation successfully and hope to expand for the next phase as the first LCC in Jordan. We have gained experience and positioned our brand in the regional market while gaining the consumers and Stakeholders confidence. The company currently owns and operates two Airbus A320s. The third A320 will join the fleet in early 2013 and the first Schedule flight will launch in March 2013. We have plans to operate five A320s by 2014 and have a schedule flight to most of the major Cities in the MENA and GCC Region using Queen Ali Int’l Airport- Amman as a hub. Petra Airlines also announced a plan to increase its register Capital to reach $70 million. Also in talks to contract one of the Int’l Aviation consultants to develop a comprehensive business plan and ultimately attracting a potential strategic partner in the LCC sphere, Mainly European low-Cost Carriers, to benefit from having a platform in the region. This would allow Petra Airlines to provide services to Europe, MENA and GCC under Jordan open sky policy. The Jordanian Civil Aviation Authority approved its application to switch its activities from the charter to scheduled market. 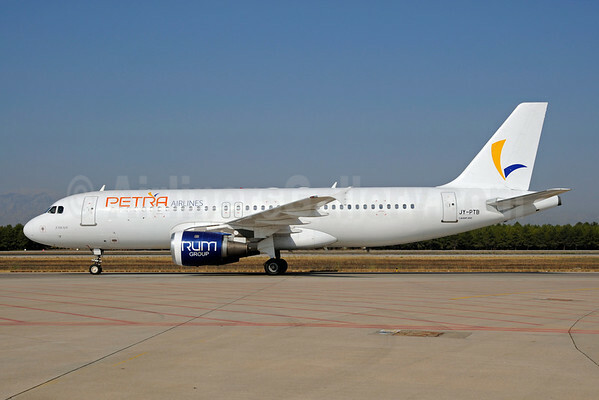 Petra Airlines was founded in 2005 as a division of the Rum Group, but did not launch operations until October 2010 when it took delivery of its first aircraft (the first charter flight was operated on December 1, 2010). Over the subsequent two years it has operated two Airbus A320s on charter work – ad hoc flying, ACMIs and tour operator packages – across a network that has included destinations in Armenia, Egypt, Italy, Saudi Arabia and Turkey. Copyright Photo: Andi Hiltl. Airbus A320-212 (msn 537) arrives at the vacation destination of Antalya. This entry was posted in Petra Airlines and tagged 537, A320, A320200, A320212, Airbus, Airbus A320, Airbus A320200, Antalya, aviation, AYT, JYPTB, Petra Airlines, transportation on December 26, 2012 by Bruce Drum. 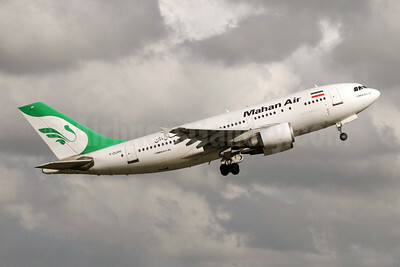 Mahan Air (Tehran) on August 14 started twice-weekly nonstop service between Tehran and Kuala Lumpur with Airbus A310s according to Airline Route. Copyright Photo: Rob Skinkis. A310-304 F-OJHI (msn 537) climbs away from Birmingham. This entry was posted in Mahan Air and tagged 537, A310, A310300, A310304, Airbus, Airbus A310, Airbus A310300, aviation, BHX, Birmingham, FOJHI, Kuala Lumpur, Mahan Air, mahan air tehran, transportation, travel on August 20, 2012 by Bruce Drum.